If case studies surrounding the strange individuals of trucking have anything in common, the commonality is that they often grew up with troubled beginnings. In fact, very little, if any of the horrible notoriety that these people face has to do with trucking as a profession, it simply was a part of their lives that intertwined with their behavior due to the nature of being able to access the open road. It’s safe to say that no person who took up a malevolent spree did so due to their truck driving job. In fact, their profession may have often been one of the most normal things about them. 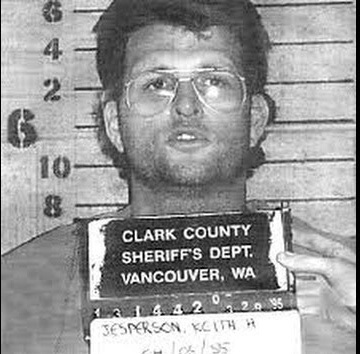 Such is the case with Keith Hunter Jesperson, who soon became known by the villainous name of the “Happy Face Killer.” Thankfully, Jesperson has been put behind bars for his murderous crimes – but many will not soon forget the long-haul trucker. Jesperson grew up in a primarily blue-collar household in the mostly agricultural neighborhood of Chilliwack, British Columbia. A resident of a small town with less than 30,000 people, Jesperson spent a great deal of time with an abusive family and an upbringing that often turned to violence. Jesperson was reportedly obsessed with disaster and fire, feeling a sense of delight when things would explode or catch fire. One story leads to an early incident where Jesperson saw the charred remains of a trailer due to the aftermath of a drunk driving incident, in which he was fascinated by the wreckage. Jesperson’s family relocated to Washington where the young man became more demonstrative in his strange desires to see the darker side of life. Those who knew Jesperson noted that he attempted to drown his classmates in school and was violent towards other boys. Despite the boy’s history, Jesperson married at the age of 20 and began to start a family. Having three children with his wife, Jesperson temporarily stopped his strange ways – until the money became tight and he needed to find a better career. Feeling desperate and needing to find work, Jesperson responded to an ad with an interstate trucking company in Washington, a company that needed to find the first qualified candidate they could get their hands on. Jesperson was on board, and soon was on the road. After a few months in the cab, however, Jesperson soon realized that a trucking job was the perfect cover for someone who enjoyed the act of murder. It also, however, began to put a strain on his marriage. Throughout the 1980’s Jesperson’s wife eventually grew tired of her husband’s strange nature and time away from home. In 1990, she filed for divorce, sending Jesperson into a tailspin. Following his failed marriage, Jesperson felt as though he only had his occupation and wild fascination with death to fall back upon. Posing as a sincere and innocuous trucker, Jesperson began to plot his first murder. Taunja Bennett met Jesperson at a bar near Portland, Oregon, agreeing to follow him back to his rented home nearby. After refusing to sleep with Jesperson, the driver beat Bennett to death and disposed of the body behind his house. Authorities found the remains a few days later, but could not trace the killing back to anyone in particular. It was not until 1992 that Jesperson struck again, this time on the road in California. During his trial, Jesperson claims that the woman he killed was a prostitute at a truck stop who has crept into his truck overnight and tried to steal his belongings. Fond of the act of strangulation, Jesperson strangled the woman and dumped her body in Turlock. His next victim came six months later in Santa Nella, California, a “street person” who authorities found on the road and thought to be a victim of a drug overdose. The latest victim of Jesperson’s brought him an inordinate amount of shame and grief, as did the media attention surrounding his former victims. Jesperson later claimed that he could not live with the guilt and immediately drove to a nearby truck stop so he could scrawl a confession in the bathroom. Writing a sloppy and hurried message on the wall confessing the murder of Bennett, Jesperson wrote, “"l killed Taunia Bennett in Portland.Two people got the blame so I can kill again." 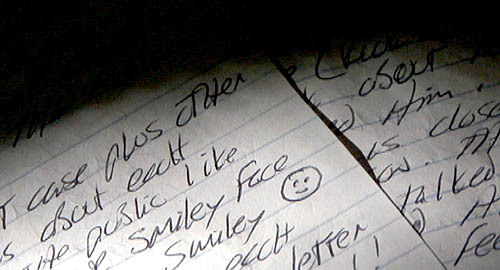 Not meant to specifically incriminate himself, Jesperson signed the note with a smiley face as opposed to giving them his name. Though the drawing was perhaps not meant to be a true confession as much as it was the visual representation of a mad man attempting to keep a grip on reality, it nonetheless provided the basis for Jesperson’s nefarious nickname. Following the attack in Santa Nella, Jesperson moved on to Florida per his prescribed route. Traveling alone on the road, Jesperson was supposedly experiencing psychosis, plotting out murders for people he had not yet even met. As he trucked through areas considered a haven for drivers, Jesperson did not think of his trucker job or the sights around him, he only thought of his next terrible deed. Crestview, Florida was where he found his next victim who was later deemed unidentifiable by authorities . Later known as “Suzanne” in Jesperson’s testimony, this September 1994 attack was the first in over a year from Jesperson, but certainly not the last. The beginning of 1995 found Jesperson back in Washington state. He soon found a young woman named Angela Surbrize who wished to hitchhike from Spokane to Indiana, and Jesperson agreed to give her a lift. After nearly a week into driving, Surbrize began to question Jesperson’s driving skills and asked Jesperson to speed up the trip so she could get to her destination. Jesperson became infuriated at this and strangled Surbrize to death, then tying her to the undercarriage of the truck. The body was not found several months after the incident. 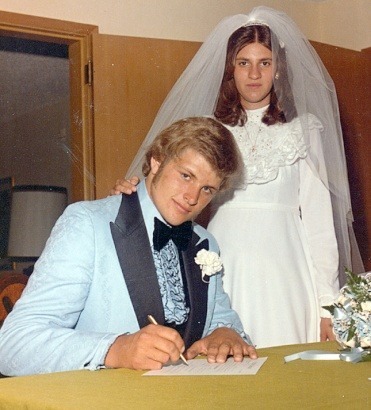 Through Jesperson malicious ways, he had lured a young woman, Julie Ann Winningham, to be his girlfriend over the years while he was on the road. Jesperson provided the young woman with money while he worked, and soon became obsessed with the notion that she was dating him for the paycheck. 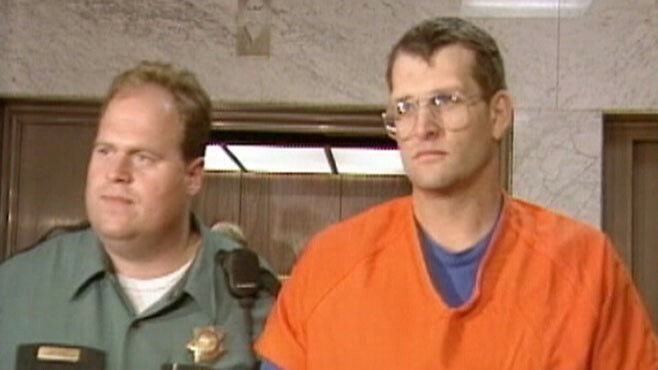 Jesperson arrived in Washougal, Washington in March 1995 and strangled Winningham to death. Her body was found in her apartment a few days later, and authorities finally found what they needed to find the happy face murderer – a link to his personal life. Less than two weeks after Winningham’s murder, Jesperson was found at a rest stop. Fatigued, mentally exhausted and having been questioned by the authorities quite a bit in the past month, Jesperson was believed to look unhinged just as much as he acted unhinged.Police undoubtedly picked up on Jesperson’s general person as well and he was quickly arrested for the killing of Winningham. While in custody, Jesperson admitted to 9 verified murders, while falsely claiming nearly 150 more. Despite the unrealistic and inflated number that Jesperson gave authorities, many state police officials still found alarm in what could be the results of Happy Face Murderer victims and re-opened older cases that were never resolved. Jesperson currently resides in Riverside County in California, where he faces life imprisonment without parole. Virtually no one can predict when people like Jesperson will strike, or that they are even under mental duress in the first place. Jesperson purposefully chose to continue in the line of work as a driver as a cover to hide his terrible deeds, hoping to disguise his mental turmoil with an occupation that sees normality on a regular basis. As many of these cases prove, it is important to know who you are hiring as a driver within your company and to find an employee that has a relatively normal routine – just as it is important to know your fellow drivers whether or not you team with them on the road. No one is suggesting that one can stop someone as determined as Jesperson when he planned to enact such horrible crimes, but it may help identify someone who is planning on inflicting harm on themselves or others around them. It is important for drivers to keep tabs one in another in the sense of ensuring that others are doing well outside of work. There may be 3.5 million drivers, but it is nonetheless a small world within the industry. Think about extending a friendly gesture – it may not change the world but it may make a difference.